December 6, 2018 7 – 8 p.m. The Nazareth campus community and alumni are invited to come together for our first annual Service of Winter's Light: an interfaith celebration of peace and hope, sponsored by the Center for Spirituality. 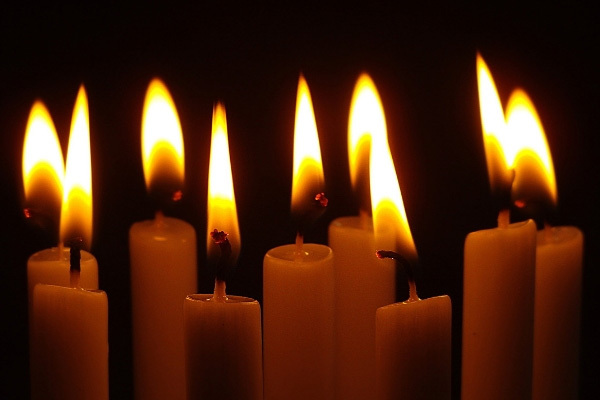 In this interfaith celebration, readings and candle lighting from various religious/spiritual traditions will be interwoven with music featuring the Nazareth Chamber Choir, a string ensemble, harpist, and more. Please join the Nazareth community as we celebrate the diversity and unity of the winter season's religious and spiritual celebrations of light. T-Shirt Sale for Local Charity! 8 – 9 a.m.
Yoga for Athletes 2:30 – 3:30 p.m.
A Trip Around Asia 3 – 6 p.m. ANCHORS: Parental Failures 4 – 5:30 p.m.